You get a choice of 3 Love Me Beauty boxes every month. They contain very similar items, but a couple of products will be slightly different, so you get to pick which box suits you best. You can also skip a month if you don’t like what they are offering and you can also pick a mystery box where what you get will be a surprise. I have never done this, as I have always chosen which box I want. This beauty box costs £10 + £2.95 p&p. The size of the products in Love Me Beauty are decent sizes and quite often there are full sizes in the box. This Month I went for Edition 1. This month’s box took a little longer to arrive than the ones I have had in the past, but when it did arrive, boy was it heavy! I opened it up and realised I had received an extra full size Weleda product. This was a bonus for the first 450 subscribers who chose their box. 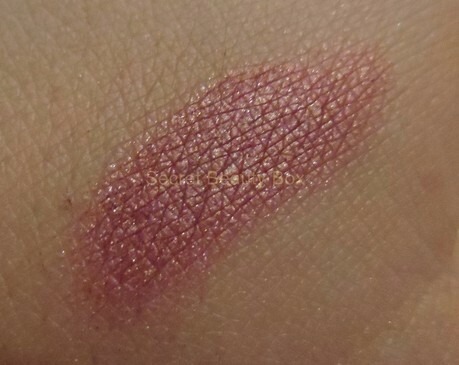 This is a full sized product which I believe is 4ml and it is worth £14.95. Firstly I like the packaging. I love the gold, it makes such a difference from the normal black packaging you usually get mascara in. There is also a cute little humming bird on the handle, which I think is a nice touch. The actual applicator brush is a little smaller than I would normally go for and occasionally when I put the applicator back in you hear a pop sound and the seal has popped up, so if I pull the brush back out I get mascara everywhere. All you have to do is screw the applicator back in fully and this will push the seal back in. As you can see in the picture I have got mascara all around the top where the seal is. This never happens with the usual masacara I use, which is Max Factor False Lash Effect and is of a very similar price. I would not expect this to happen with a £14.95 mascara, maybe this is something which they could improve on. Other than that I’m happy to have received a mascara as it is something which I use every day. It is an intense carbon-black mascara formulated with hyaluronic spheres to help you achieve the darkest, curviest lashes possible. But for me this doesn’t give me the effect which I desire and which I get with my current mascara, there just wasn’t a significant difference in the appearance of my lashes. This is a full sized product worth £11.95. It is a very handy brow palette which includes a slanted brush and a mirror. The palette is great to travel with and to touch up your brows on the go. 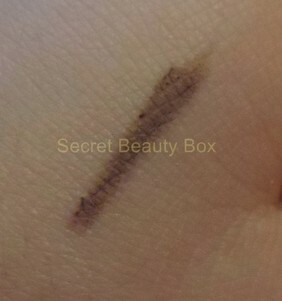 The slanted brush makes it very easy to apply and easy to get thin lines like at the end of your brow. 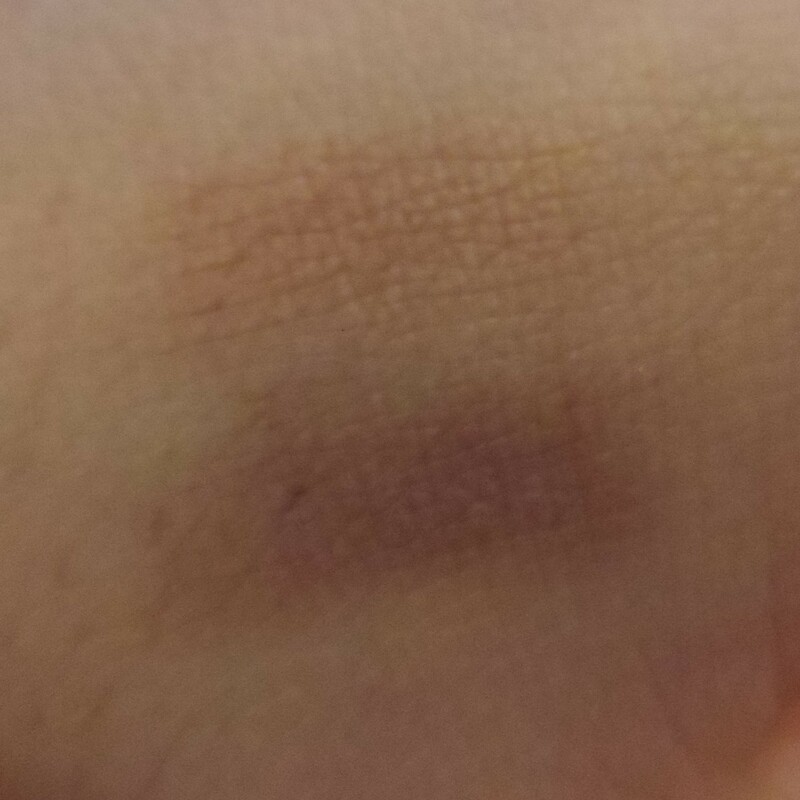 I do like powders and they do look natural when applied. The mirror is great, it is the same size as the lid so is a fantastic size. I do feel though to make this product even better would be to add a tiny pair of tweezers. There is enough room where the brush is to add this and it would make it ideal for on-the-go. When you look in the mirror to touch up your brows and you just see that stray hair coming through, you want to get rid of it there and then! If there were tweezers included you would be able to and this would be a must have travel brow palette. Here is a swatch of the colours, a light brown and dark brown. You can’t see them amazingly on my skin tone, but when applied to the brow it does the desired effect. So this palette is great for lighter brows and darker brows and you can also mix the two colours to get the desired colour. This product is animal cruelty free which is fantastic. It is also infused with Aloe Extract and Carrot Seed Oil, which helps to nourish and rejuvenate the skin. This is a great product and I’m very happy to have received it. This is a full sized product worth £7.60. 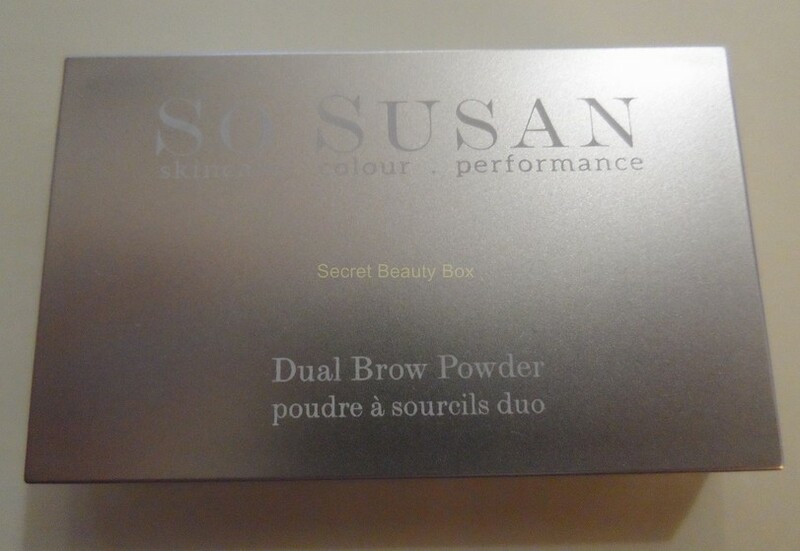 This is another brow product in the same box, does seem a bit strange but I don’t mind. I tend to use a brow pencil daily and then a brow powder at weekends or when I am going out. This is a brow pencil and it claims to be Universal, so one colour suits all. Now I don’t know how true this is, I have brown eyebrows and this suits me fine, if you have light eyebrows I really don’t know. If you have tried this product let me know what you think and if it suits you. This is water resistant, so won’t come off in the rain, or in the gym 🙂 It is created with a synthetic beeswax base for a smooth, soft and long lasting application. It is always handy to have a brow pencil and my other one is nearly running out, so this has come at the right time for me. Here are a few tips from OFRA for the perfect brow. This is a full sized product 4g worth £8.80. 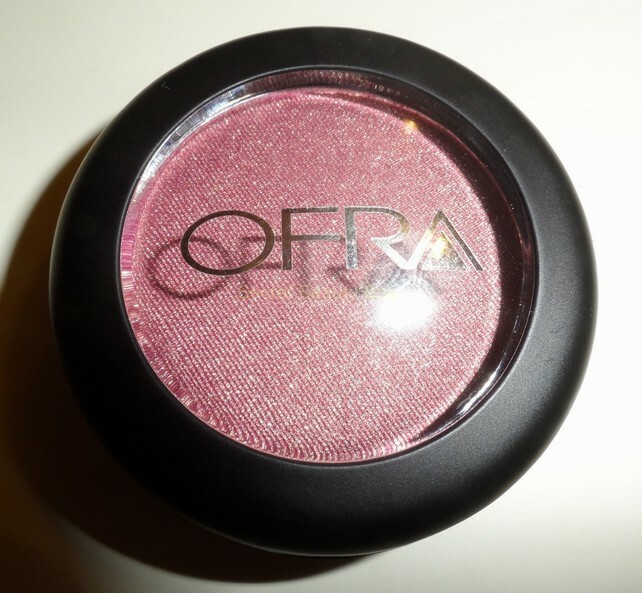 This is from OFRA’s “Diamonds are Forever” palette collection. 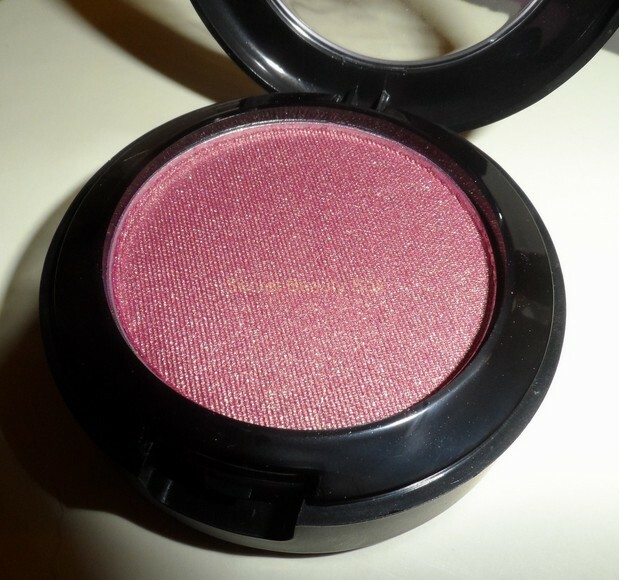 It has a vibrant shimmer colour that makes eyes sparkle like diamonds! This is a fantastic colour! I love it. It has a goldie sheen to it, and it definitely the type of colour I would go for. It is suitable for all skin tones and even the most sensitive of eyes. 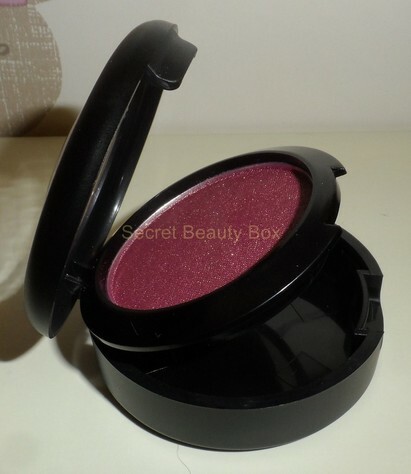 You can apply this eye shadow with a wet or dry brush and is long wearing. It also contains natural sun filters (Titanium Dioxide). One thing I absolutely love about this product, which I didn’t notice straight away, is there is a hidden mirror! Yes underneath the shadow there is a little mirror! Perfect for when you want to touch up and check your eyeshadow when you are out and about. All you do is lift the eyeshadow and right underneath is a mirror, here is a picture in case you have missed it too. Genius idea! This is a 2ml sample size worth £22.85. Full size is 3.5ml for £40. So at first it looks like a small sample, but when compared to the actual full size product, it isn’t too bad. I never really know what to make of these types of products, it says results have found longer looking lashes within 2 weeks. 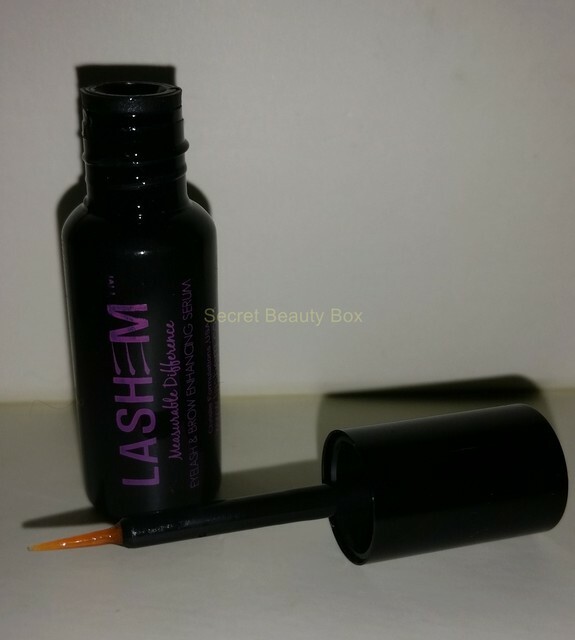 The serum is meant to nourish and condition the lashes and continues working long after application. Infused with safe, powerful peptide treatment and patented QuSome delivery system that provides higher encapsulation and absorption of ingredients, you’ll find this is better than false lashes. I will give this product a try and see if it makes a difference, but at the moment I am a bit sceptical. If it is amazing I will have to write another post about it. But we shall see. This Northern Brew is a black tea from Sri Lanka and has a good strength. I’m glad I got this one, as it brings back a few memories for me as I went traveling around Sri Lanka last year and it was amazing. 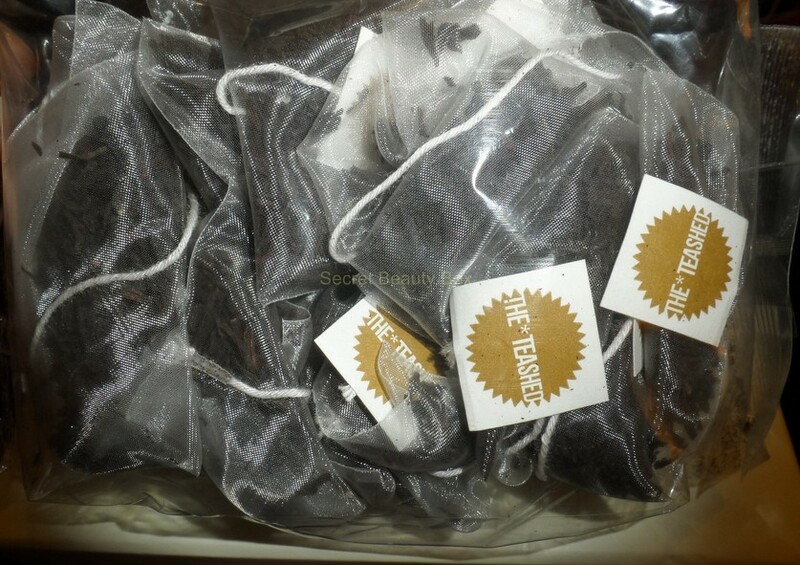 It is also a generous amount of tea this time, in the past we have got about 3 bags from Love Me Beauty. This time there are 20 bags worth £3.50. This is full sized and when you normally buy it you get them all in a useable paper cup, which I think is a nice little touch, but obviously that couldn’t be done when receiving them in a beauty box. Northern *Brew is a Ceylon, which is particularly suited to the hard water generally found up north. Tea tastes slightly different depending on what water you have. But don’t worry, a good quality Ceylon like Northern *Brew tastes lush wherever you drink it. The tea is in silky pyramid bags and is whole leaf tea. I really look forward to taking these into work with me. Everyone is going to wonder what this Posh tea is that I am drinking! 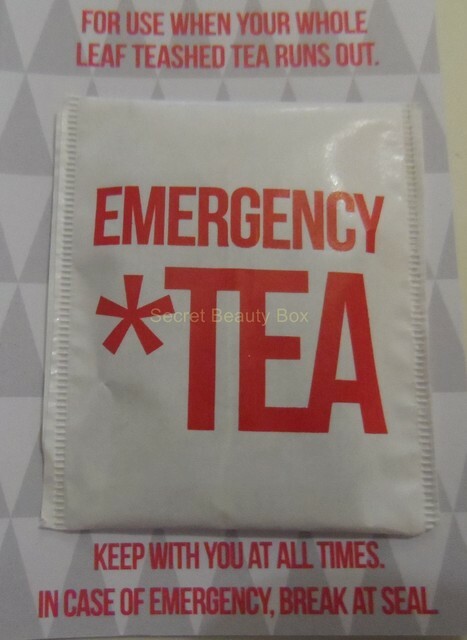 There was also a card with an emergency tea bag stuck inside! This is so cute, so you just pop it into your bag for that day you run out of tea! This is a full sized product 200ml worth £15.95. 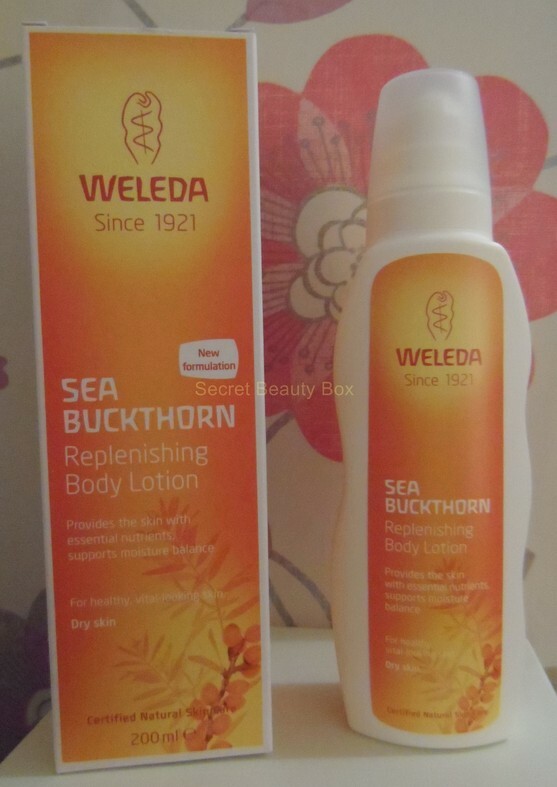 I am so happy to see this full sized product from Weleda in my box from Love Me Beauty. If you were one of the first 450 subscribers to pick your box then you would have received this. This product does need to be used as soon as possible though, as it has a short expiry date of August 2014. But I never go by these, products always last a lot longer than their expiry date. But I will make sure I do start using it soon. Weleda have very good ethical values and use natural products which is what I like. This is for Dry Skin and it contains skin-related essential fatty acids which provide visible and lasting care for the skin. It is formulated with vitamin-rich oil from organice sea buckthorn, mallow extract and shea butter. This protects the skin from moisture loss and activates its self-regulation functions. This lotion smells amazing, it has a nice fresh and fruity smell and it also absorbs straight into the skin leaving it feeling soft and smelling amazing. This product has a new uniquely shaped award winning bottle,which is an airless bag-in-bottle system with pump dispenser. I am very happy with this month’s box I received and I am made up with my extra product, which is of a very generous size as well. The value of this month’s box (without the extra product) is £69.95! Wow! If I include the extra product I got it is worth £85.60! Now that is just amazing. Not bad for £12.95! Love Me Beauty have definitely stepped up their game this month with this box, there is nothing I can fault about it! Out of all the products there was only one sample size, all of the rest were Full Sized Products. I can’t wait to see what they have to offer for next month’s box. What do you all think about the box you got? ?